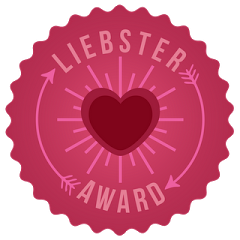 Before we get started on our post for today – I have a little announcement. Today is my 30th birthday! It’s crazy that I’m officially out of my 20s and now into my 30s. I have accomplished a lot in my life. Plus I have an amazing husband (who’s birthday is tomorrow) and three precious girls. 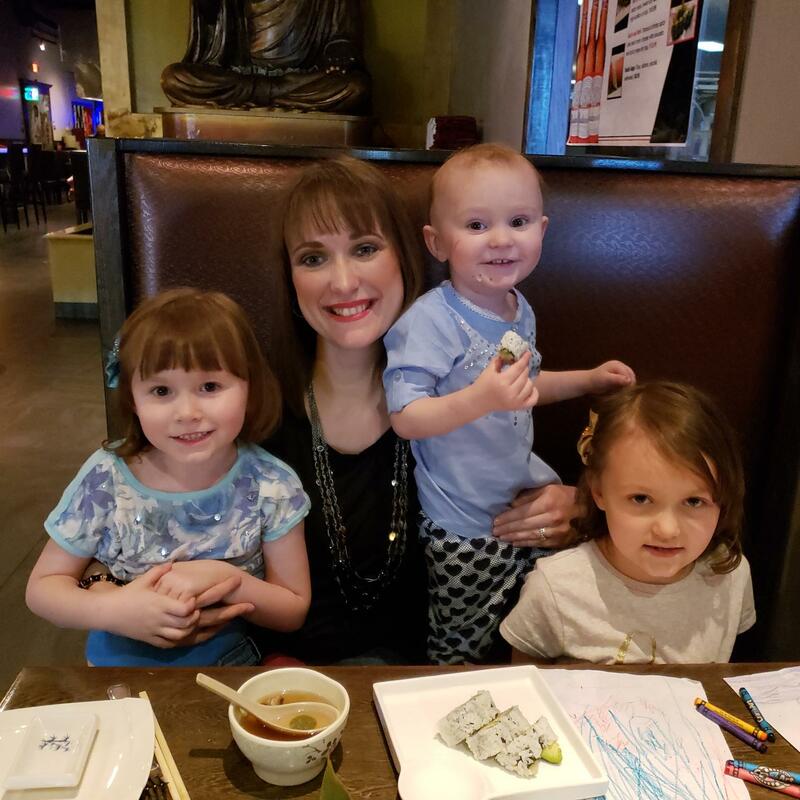 Here are my girls and I on Mother’s Day. We also love to celebrate special occasions by eating sushi. Now onto our post for the day! Do you love to have a nice table setting for dinner? Are there certain colors you love using on your table? My dining room table is a triangle shaped table, which I love. We eventually want to buy a new dining room table. We just haven’t found the right one yet. We’ve had our table since we moved into our house in 2011. Our table is older than our kids. On the center of the table, I love to display decorations that is focused on the current holiday or season. For Spring and Summer, I have a large decor bowl filled with floral potpourri ball set. When I set my table, I add my teal and white placemats and my girls’ placemats. I want to buy a set of five placemats for when I want my whole table to look extra nice. It is nice to have a overall flow of the look of the table setting. I also have a white dinnerware set that I got couple years ago at JcPenney’s. I love how clean the dishes look with the overall table setting. I use my silver silverware. On special occasions, I use my gold silverware. Every now and then, it’s fun to change up my look with my table setting. I still really love blue and white colors paired together. I was browsing Target’s website and I found several fun pieces that I would love for my table setting. 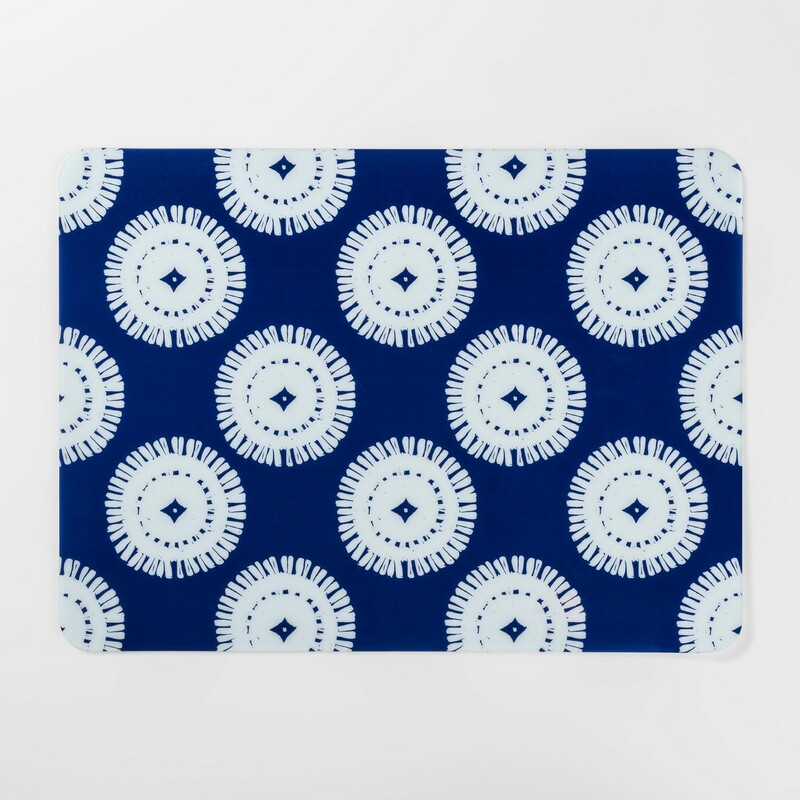 I was drawn to blue colors with a fun circle pattern. 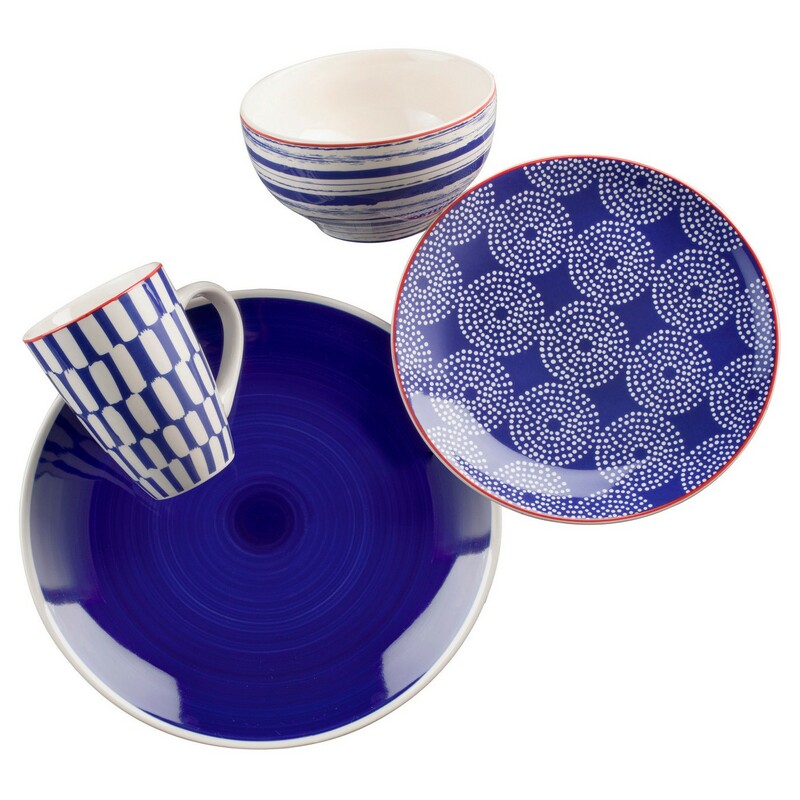 Below are several items that I found on Target’s website for a blue and white table setting. 1. Blue Medallion Placemats with White Square Dinnerware Set. I love these Project 62 blue medallion placemats. I’m a huge Project 62 fan, so of course I love these. The placemats would look great with my white dinnerware set. 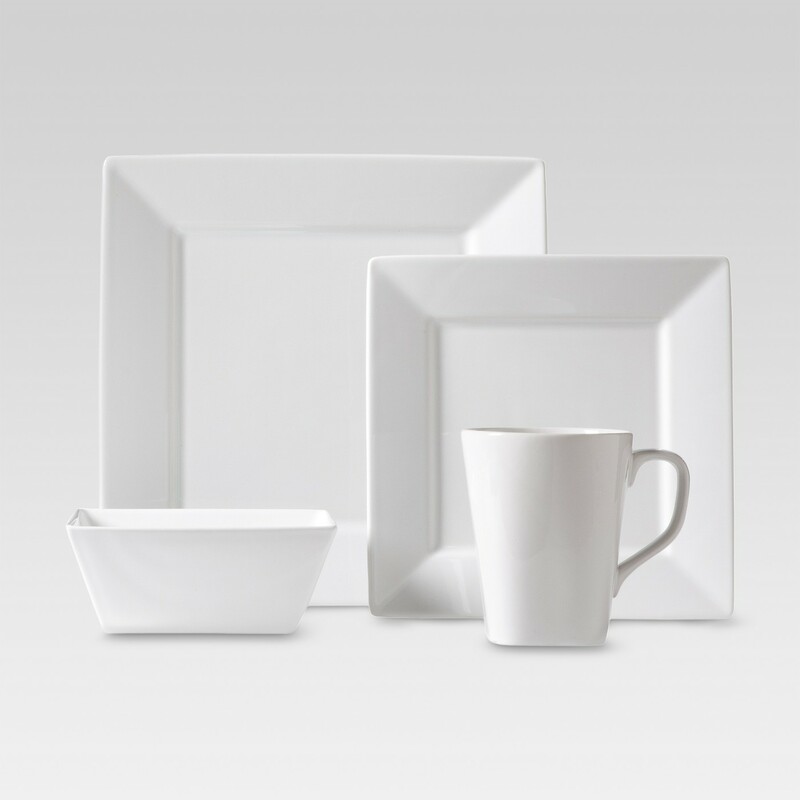 These Threshold white square dinnerware set are a great pick to go with the placemats. I love the shape of the plates and bowls. 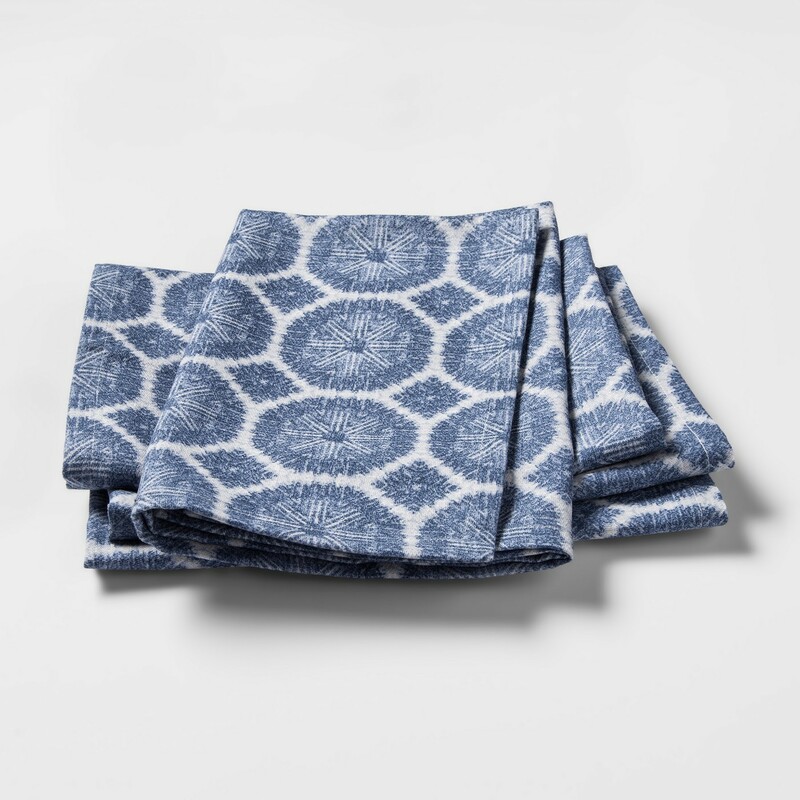 To add to this overall look, these Threshold blue medallion cloth napkins would pair nice with the placemats. The pattern is very similar to the placemats. The color of the napkins are a lighter shade of blue. 2. 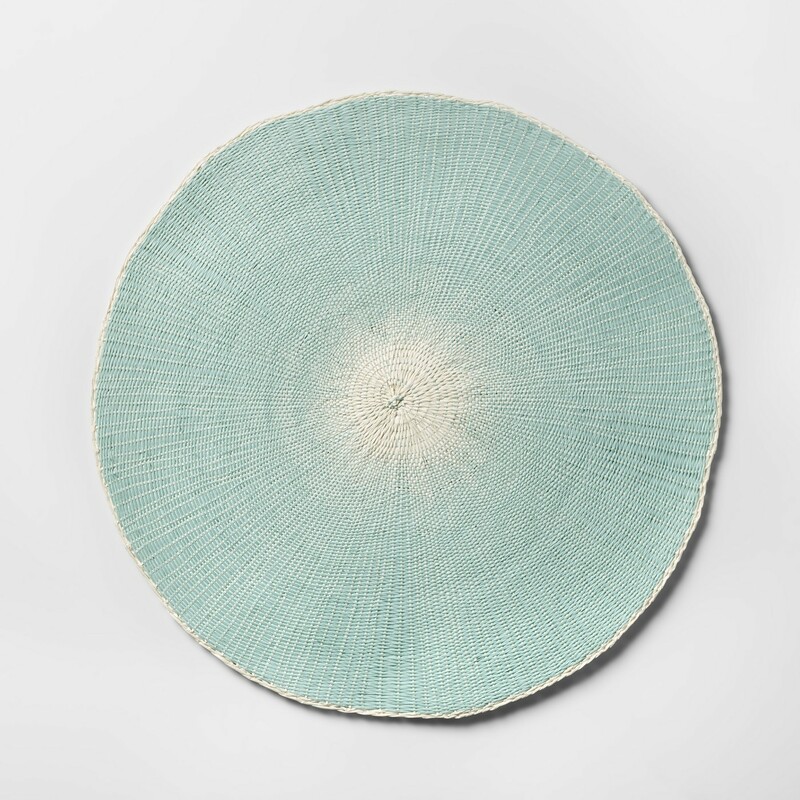 Aqua Round Placemats with Blue Dinnerware Set. These Opalhouse aqua round starbursts placemats look perfect with the Euro Ceramica blue dinnerware set. I love the different patterns on the dinnerware set. I thought that since the dinnerware set patterns are little more wild, you’d need a placemat that doesn’t have a big pattern. 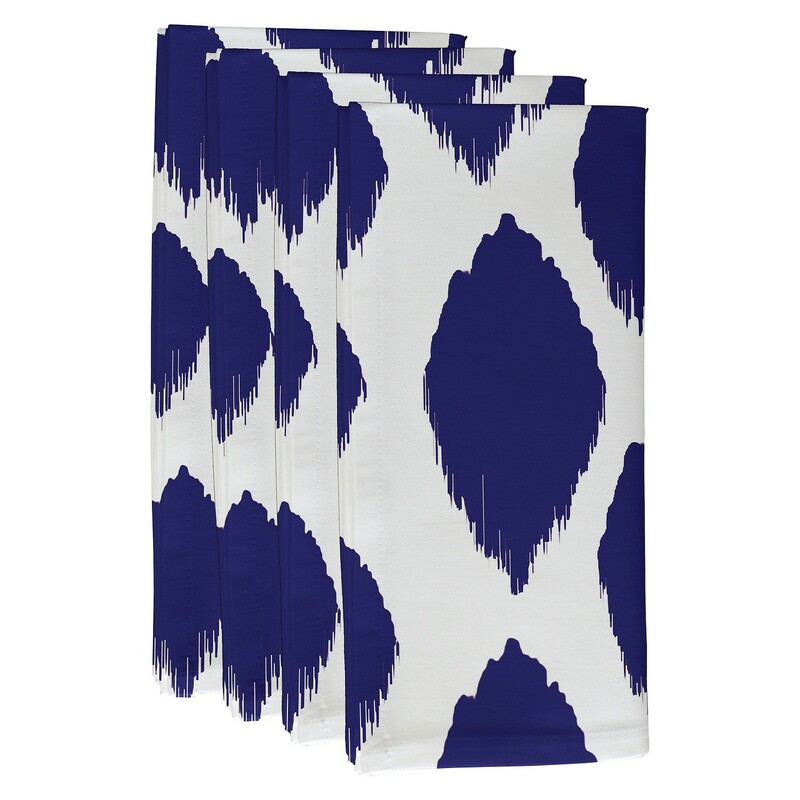 I found these fun E by Design blue abstract cloth napkins that would look great with the dinnerware set. 3. Blue and White Porcelain Serveware. A table setting isn’t complete without fun serveware. 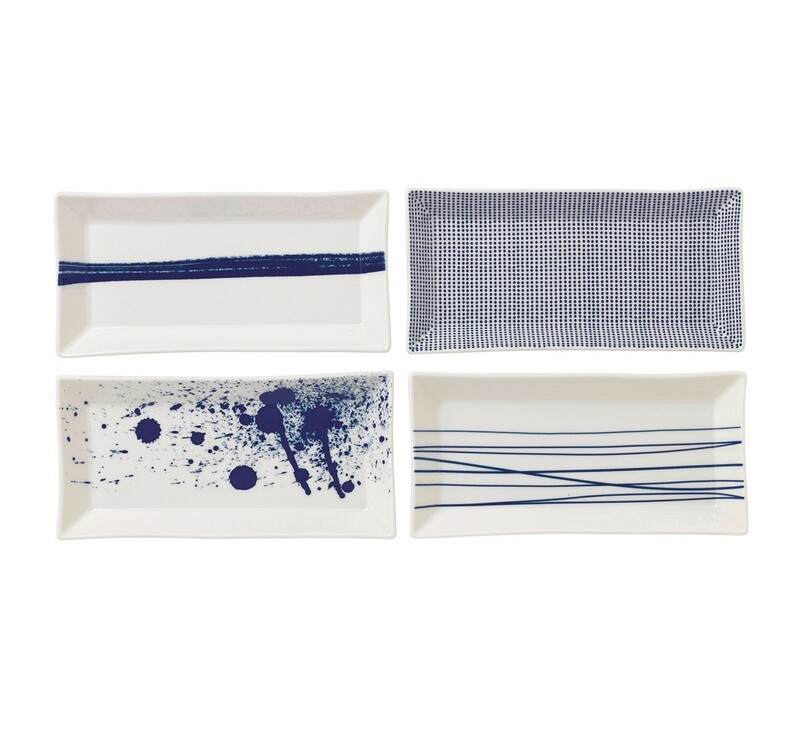 I love these Royal Doulton blue and white rectangular porcelain tray set. They would be perfect when serving food such as appetizers. 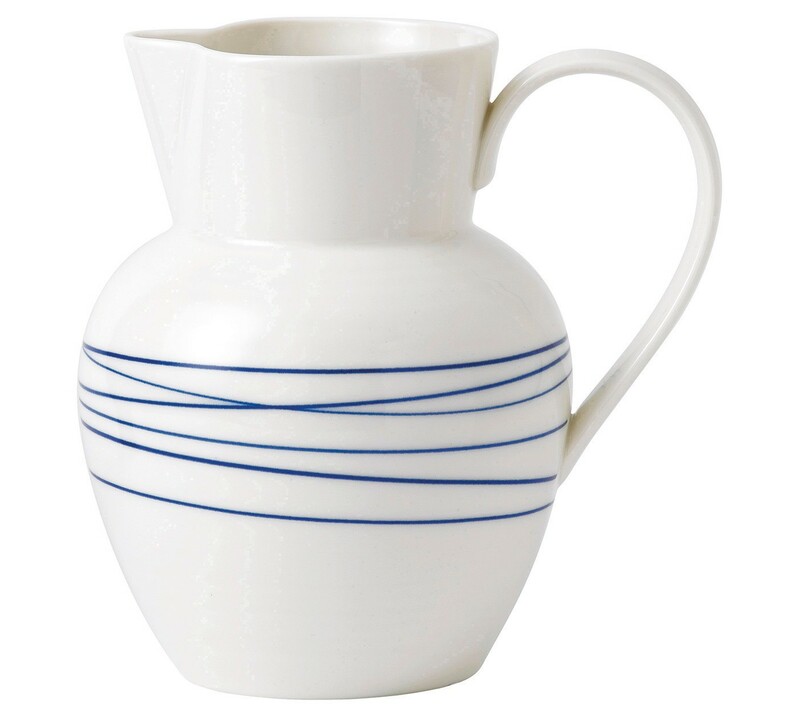 To go with the tray with the blue lines, this Royal Doulton blue and white porcelain pitcher would flow nicely with the tray set. The pitcher would be perfect for ice cold lemonade this summer. 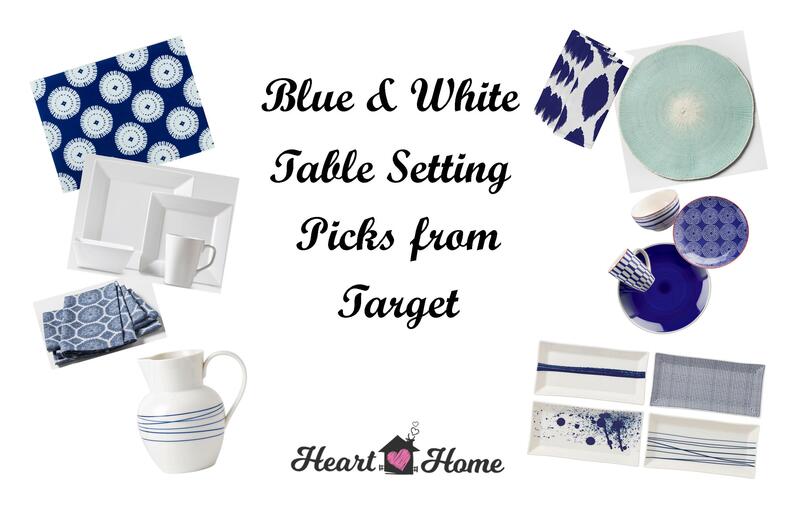 What are some of your favorite pieces from the blue and white table settings from Target? What are you looking at getting for your own table setting? Previous Post Where is your Priority? Target always has such cute stuff. I really love white plates, but then I change up the colors with place mats, napkin rings, etc. It’s so fun! I love all of these! Happy birthday!!! ❤ I hope you had an AMAZING day!! I love, love the blue and white look for the dining table! Those napkins are gorgeous! I love the blue plates. I would need a huge kitchen to store all of the beautiful dishes on this page! Thanks! Big fan of navy and white! We’re currently designing our new home and I’m pulling a lot of white and navy in. Happy 30th Birthday! That was a big one for me. I was soooo not ready! I’ll be hitting 33 on May 26th and it feels like I just turned 30. 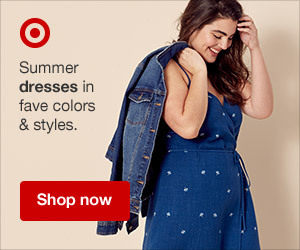 I love Target so I love reading blogs about things people get at Target. All the pieces you got for your table setting are really cute! I’m usually not a blue person, I prefer more of the warmer colors, but I am loving the pieces that you picked. The napkins, place settings, and pitchers are so pretty and would go perfect with our white dishes. I have a thing for white dishes. I love the blues and the patterns. Happy Birthday!!! I really like those place mats, both of them look really nice! I’ve had a little obsession with blue and white lately so these are all perfect!! I love the blue and white paired together! The blue and white is so beautiful! 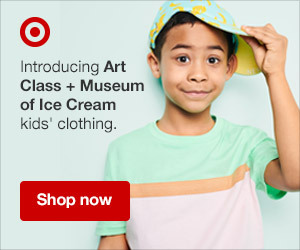 You honestly can find anything great at Target! That color combination is very crisp and chic. I love the items you picked. Happy Birthday! Blue and white is so pretty! I totally need to freshen up our table. I love the brightness of this blue and white. I could throw some yellow in there to really brighten our room. I turned 30 this year too! Happy birthday! Oh my gosh and I LOVE LOVE LOVE your picks! Blue and white everything! Happy Birthday! Such fun decor, especially with all the patriotic holidays coming up! Thanks! The colors together are so pretty! When I get a new dining room table, I can really decorate my dining room table.